2016, The State of the Trails! #TrailsRoc was formed with the thoughts of that quote at our core. It was random, it feels organic, and now it is growing. Our home is in the woods and our thoughts are constantly on the community. How can it grow? How can it come together? How can we support you? How can we give back? Because the more we give back, we realize just like Valone did, the more is returned to us. I can’t tell you the energy I feel after an event of ours starts starts. Seeing you all finish with a high five and smile makes the anxiety of race day melt away. I can’t explain the pride I feel when after hours in the woods creating a new route, a group of people go run one of our new trails and report back how fantastic it was. I certainly can’t explain the friendships that I have seen grow from this little organization and the groups I have watched become families over time. It’s been amazing to say the least. It’s sort of explained a bit here in a video by Ron Heerkens Jr, owner of Goat Factory Media! The Rochester running community is vibrant and full of life and we are so happy to be a little part of that. As Chris O’Brien from RunningInsideOutPodcast likes to say, “There is a great big pie out here. Some people are concerned with how big of a slice of pie they can get. What makes this community so great is that so many people are adding a piece it”. Below are some of the ways that #TrailsRoc has tried to add to that pie this year. The #TrailsRoc App – We had growth in both users and in it’s content. We currently have over 35 parks with over 250 miles on 125 trails mapped. If you see something missing, send us an email with your GPX data and we will work to include it in the next version of the app. The app has been used by countless runners, first responders, race directors and more. It’s a powerful tool that we plan to keep improving for you. Group runs: We host 3 group runs every week. They are always free and always fun. We will never charge for these events. We meet on Tuesday, Wednesday, and Sunday. Keep your eyes open for some special runs that we host as well. Over 1,500 runners joined us at a group run in 2016. We would love to see you at one of our runs in the future. Races: In 2016 we hosted 5 races. Each race was capped to bring what we believe is a sustainable number of runners to the trails. We would love to see 500 folks race it out at 0 SPF or 342 of you roam the woods at night in Dryer Road Park at Ready Set Glow but we believe (as do local land managers) that races of those size are detrimental to the health and condition of the local trail environment. We love the energy each and every one of you brings to our races and we are happy to continue to offer our 4 core races moving forward! Trail work:With that said we know each race, even when capped at under 200 runners has a negative impact. We serve each race course we step on with 1 pre-race trail work day and 1 post race clean up. Too many races have been leaving course markings, food packets, ruts, footprints, and erosion in their wake. We plan considerable work after Mess The Dress to ensure the park looks better after the race than before. All of this is in addition to the monthly trail work projects we put in place at Durand Eastman Park and Black Creek Park. In 2016, led by Dave Storie, we had almost 50 different volunteers put in a combined 200 hours of service to your local parks. We completed 2 bridge and boardwalk projects, fixing long compromised trails and allowing the surrounding ecosystem to heal without our footprint continuing to degrade the area. We built new trails in both Black Creek and Durand. We built connector trails to fix poorly routed sections and we hauled out countless pounds of trash and debris. We built and stained a new picnic table at the trailhead of the Seneca Trail at Valentown and we helped to blaze trails that had long ago lost their blazes. In short we have taken our core mission about sharing these trails to another level by caring for them. We welcome any race organization in the area to do the same and we would love to offer our resources to them should they decide to start with trail work days. Donations: In 2016 we donated over $5,000. We made major donations to the Victor Hiking Trails, the Crescent Trail Association and the Monroe County Parks system. We have donated to first responders in 4 different volunteer fire/ambulance companies. We made a major donation to the Willow Center to support women of domestic violence and we have donated man hours that add up to almost $2,000 dollars of labor that does not even include the time the #TrailsRoc board members have volunteered. Give back – We sponsored athletes to take on dream races in 2016 and have already begun reviewing sponsorship for athletes in 2017. Last year we gave out $1,000 to local runners and can’t wait to do so again! The #TrailsRoc Executive Board: I would be remiss if I did not point out the members of the #TrailsRoc board. This board has selflessly given of themselves to help foster a community that cares as much about the people as it does about the environment. When I see these folks gathering on a Monday evening to plan the next trail work day, or discuss the next organization we will donate to, or decide how early they will need to arrive for a race and how late they will stay when it’s done I am in awe. This is not a job. No one on the board at this organization is paid a penny and they give so selflessly to all of you. 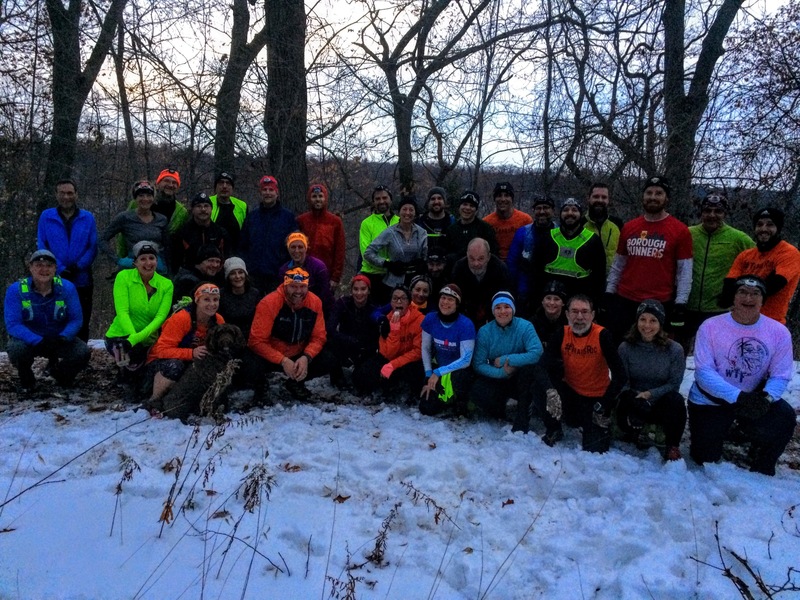 From our website to our races to our group runs to the trails we build, these men and women treat #TrailsRoc as if it’s a career and I am thankful to be along for the ride with them. We are entering our 5th year as an organization. None of that happens without committed volunteers on this board. I am as excited as ever to see what year #5 brings us and to see how many of you we can help. We have goals in 2017 of maintaining all we have done and introducing new runners to bigger dreams and outlandish adventures. We want to encourage people to find some dirt even if it’s just a mile or two at first. You will be surprised to see where it takes you. The community we are surrounded by is a powerful place and The State of the Trails as you well know, is strong. So grateful to have a group like TrailsRoc where I live! Thank you to the leadership for all your hard work and organizing.